The Flappy Bird, one of the most addictive games today has been pulled out in Google Play and App Store by the developer. 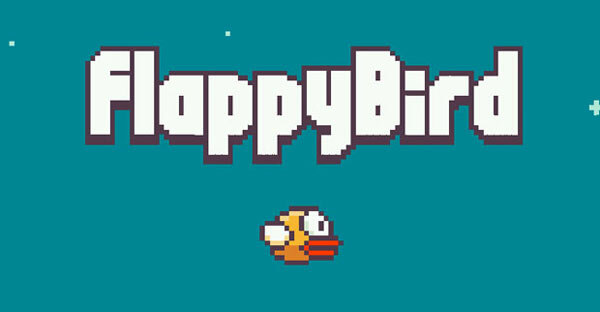 Despite of reportedly generating more than 50 thousand dollars per day in add revenue, the Vietnamese developer Dong Nguyen said sorry to Flappy Birds users. The 8-bit inspired game which requires the player to navigate the series of gaps by tapping the screen to flap the bird’s wings was on the top chart in Play and App Store when it was removed. Questions raised about the similarities of Flappy Bird to Mario but the developer insisted that the removal of the game is not based on legal pressures. “It is not anything related to legal issues. I just cannot keep it anymore,” Nguyen stated via his official Twitter feed. For those who had downloaded the game before it was removed from the store can still play it, but for those who don’t have a chance to download and curious now about this game, good news, there are several websites that host the game were you can play using your computer, here some: Flappybirds.com, FlappyBird.com, Flappybird.io. If you want to play using your android and iOS devices, you can still get the APK or IPA file of this game, all you have to do is to download the file and install it on your device and you can start to play this addicted game. Make sure not to ruin your life while playing this game like the developer said that his creation ruin his simple life.